Focusing on Bayesian approaches and computations using simulation-based methods for inference, Time Series: Modeling, Computation, and Inference integrates mainstream approaches for time series modeling with significant recent developments in methodology and applications of time series analysis. It encompasses a graduate-level account of Bayesian time series modeling and analysis, a broad range of references to state-of-the-art approaches to univariate and multivariate time series analysis, and emerging topics at research frontiers. 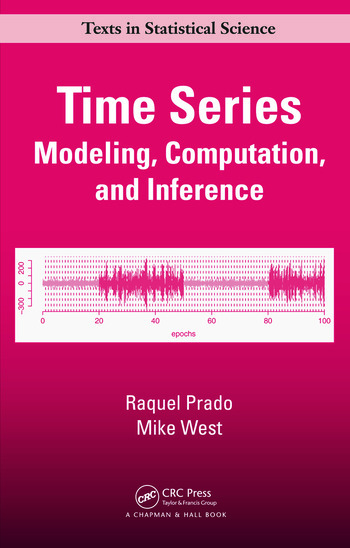 The book presents overviews of several classes of models and related methodology for inference, statistical computation for model fitting and assessment, and forecasting. The authors also explore the connections between time- and frequency-domain approaches and develop various models and analyses using Bayesian tools, such as Markov chain Monte Carlo (MCMC) and sequential Monte Carlo (SMC) methods. They illustrate the models and methods with examples and case studies from a variety of fields, including signal processing, biomedicine, and finance. Data sets, R and MATLAB® code, and other material are available on the authors’ websites. 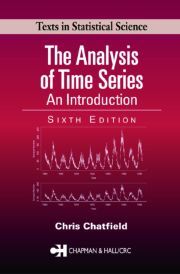 Along with core models and methods, this text offers sophisticated tools for analyzing challenging time series problems. It also demonstrates the growth of time series analysis into new application areas. Problems appear at the end of each chapter. Raquel Prado is an associate professor in the Department of Applied Mathematics and Statistics at the University of California, Santa Cruz. Mike West is the Arts & Sciences Professor of Statistical Science in the Department of Statistical Science at Duke University. 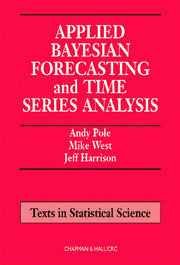 The authors systematically develop a state-of-the-art analysis and modeling of time series. … this book is well organized and well written. 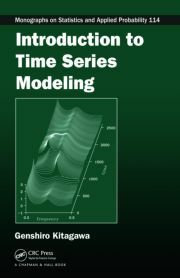 The authors present various statistical models for engineers to solve problems in time series analysis. Readers no doubt will learn state-of-the-art techniques from this book. My favorite chapters were on dynamic linear models and vector AR and vector ARMA models. 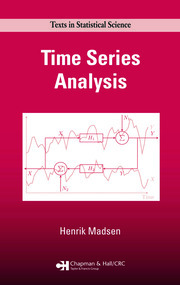 … a very modern entry to the field of time-series modelling, with a rich reference list of the current literature, including 85 references from 2008 and later. It is well-written and I spotted very few typos. This textbook can undoubtedly work as a reference manual for anyone entering the field or looking for an update. … I am certain there is more than enough material within Time Series to fill an intense one-semester course.